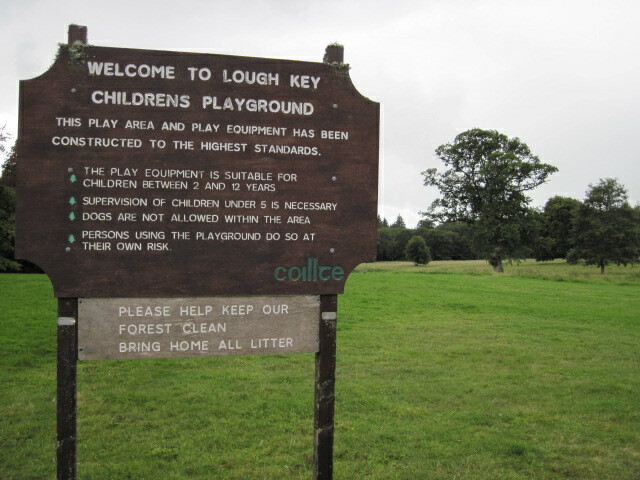 This actually comes under the [web] title of Lough Key Forest and Activity Park. Which includes a lot under its banner. 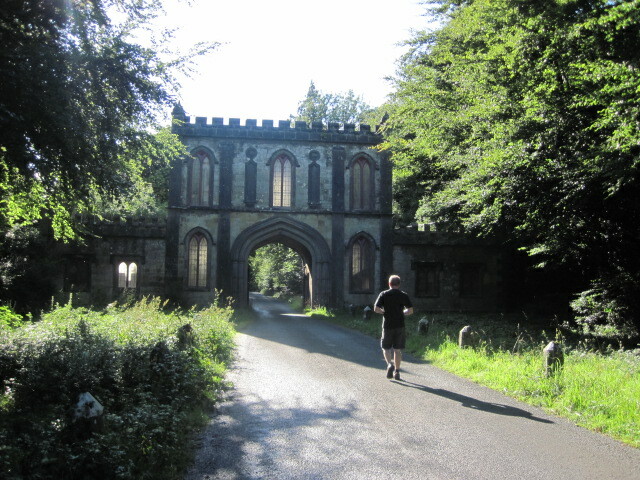 I chose to go camping there for 4 days and try and experience as much as possible within the beautiful town of Boyle in Co. Roscommon. That’ll come later on the weblog. I arrived on a Thursday evening. The campsite reception was closed, but I had called in advance and so I just went ahead and pitched my tent. The next morning I went down paid my €22 per night. Overall the campsite is good. I chose it mainly because of the forest. There was a water tap nearby but that’s about as good as the right by your tent facilities got. Not a problem. Whilst there were some queries over the cleanliness at the cooking and preparation facilities, more importantly and for those with kids, there are tumble dryers and washing machines in the main area [require tokens] and the showers [also token] were hot and clean as were the bathrooms and washing areas. I liked the fact that the security man came by at night time to make sure no sticks were being burned from the forest and warning the dangers of. A more polite way for everyone to note that he was around. The great thing about the forest surrounding the campsite really is the fact that one could go for a wander through the woods. For those with families this is a great way to keep the kids entertained and dry-er when the rain really does fall. 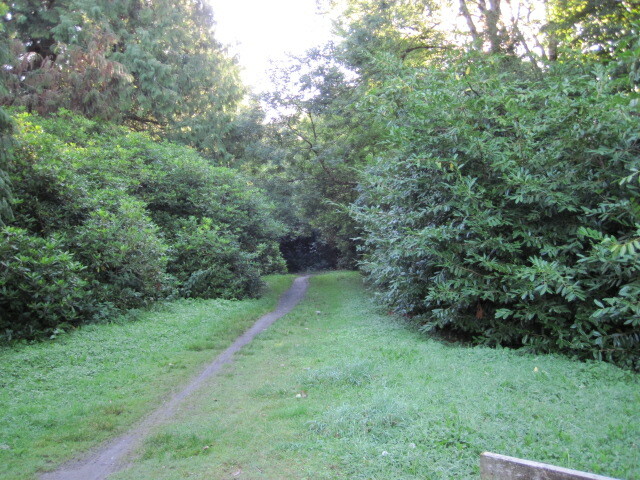 There are many dry spots to be found under shelter from the trees. Whilst that was the ultimate for me and no one minds a tree that fell over or gave rebirth to another, it would have been nice if greater attention could be paid to the rubbish within the woods. That said the setting is brilliant. The activity park is an odd one depending on who you talk to. There is a €4 charge on the barriered car park which most avoid and simply park outside. For me it was simply a short walk from the campsite. Inside there are options to pay for a tree canopy walk, an activity challenge called boda borg and a [paid] play ground. There is also a coffee shop/ restaurant. On one hand if you are camping you get discount on these activities with a pass given from the camping reception. On the other, if you are on a budget it can easily mount up. That said whilst there is a free playground and picnic areas outside the children tell me the pay for play area is really good. Adults obviously go in free. 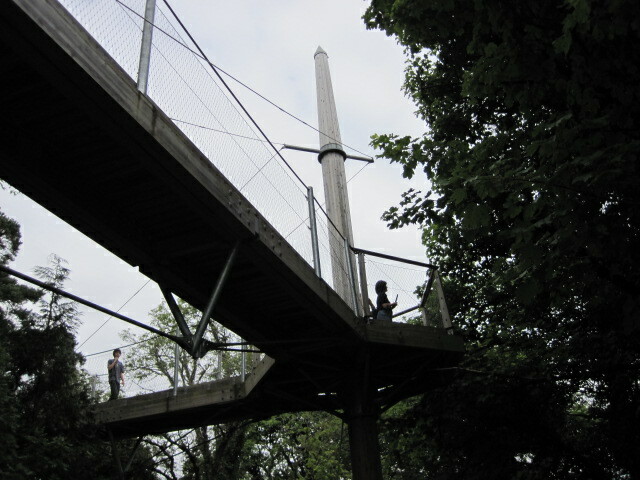 The tree canopy walk I chose not to do but it also got good reports. The reality is though that for me to come here for a weekend is one thing. The flip side is when it is right on your door step…. and on this fact alone I’m inclined to disagree with Lough Key on the €4 car park charge. 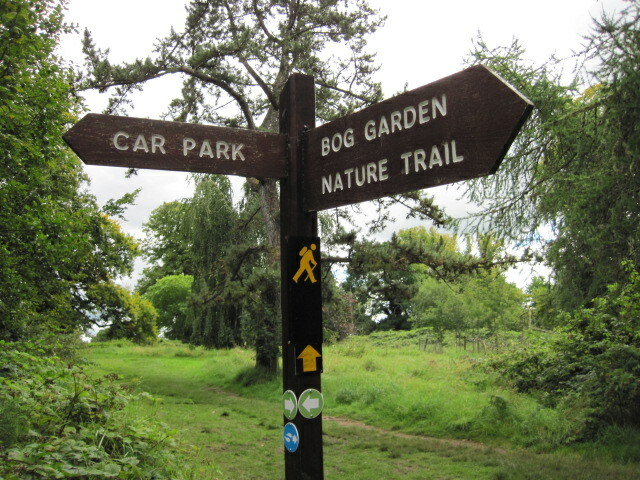 They can say it goes to the forest maintenance – but I don’t know any park or outdoor variant in Dublin that charges for this. 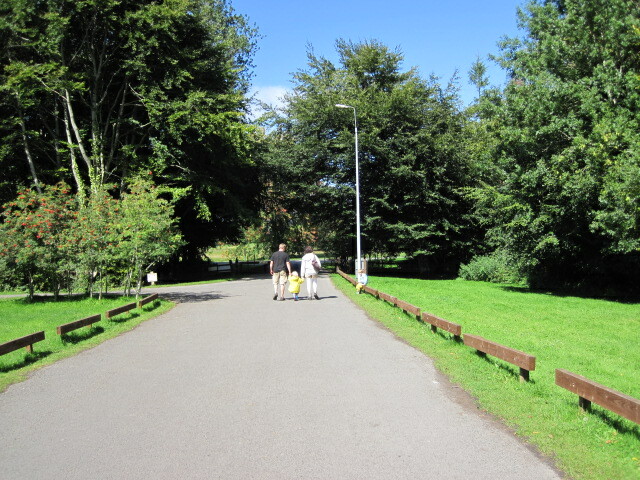 The walk through the surrounding park is brilliant. Brimmed with history, watching the boats, feeding the ducks… I could literally walk and sit here for days and if I were living in Boyle it would be free [apart from the car park of course]. But, from a campers point of view it is the reason I went there and for that alone I am so glad that I did. I thought it was great. Absolutely brilliant for families. Would I go again ? 110% in the morning. In fact I actually had that moment where I wanted to stay the extra night[s]. The down and upsides, were my little gripe with the car park. 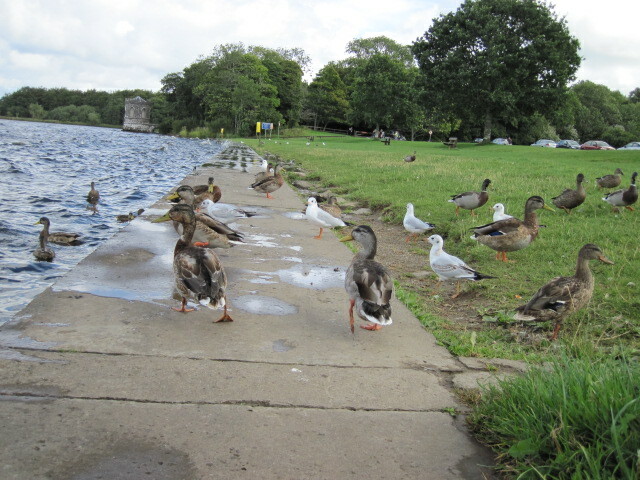 There is also the option to buy imported bottled water in the café but/ and at the same token there is free water in the coffee shop where they also supply free bread to feed the ducks. 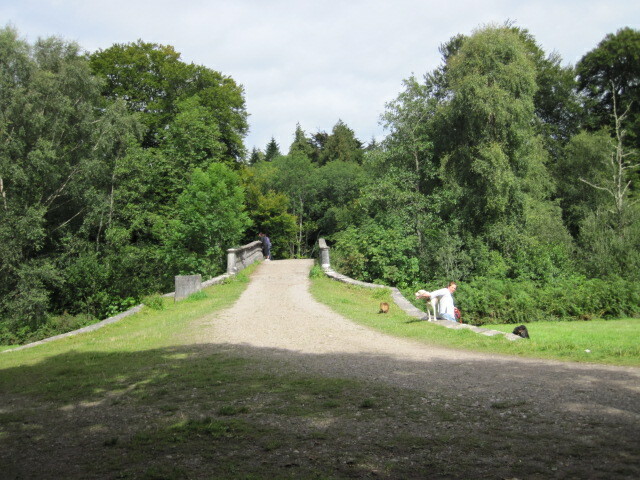 The campsite needs a little tlc – but after that it is camping and it is amazing. As to the paid for activities, well I guess as long as you know in advance you now have an option to do or not to do so. Either or Lough Key as always was made for me by the people I met, those who chose to sit and talk with me and of course the natural surrounding setting which are absolutely amazing. Go there. Visit. Camp. Stay. Lets the kids run wild. Run wild yourself while you are at it. I did. I loved it. I will return. 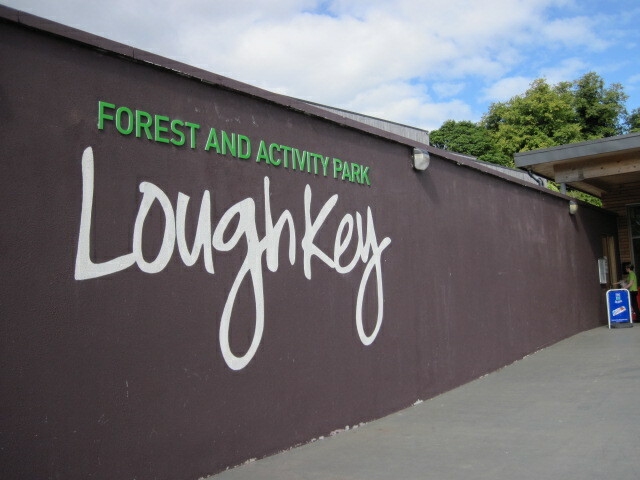 Situated just off the N4 is Lough Key Forest Park, a fantastic parkland area that has been tastefully revitalised by an addition of a Visitor Center and Activity Facilities including Boda Borg, a puzzle solving activity centre which is a Swedish concept originally unique to Irelandbut now has locations in Sweden and plans to expand Worldwide. 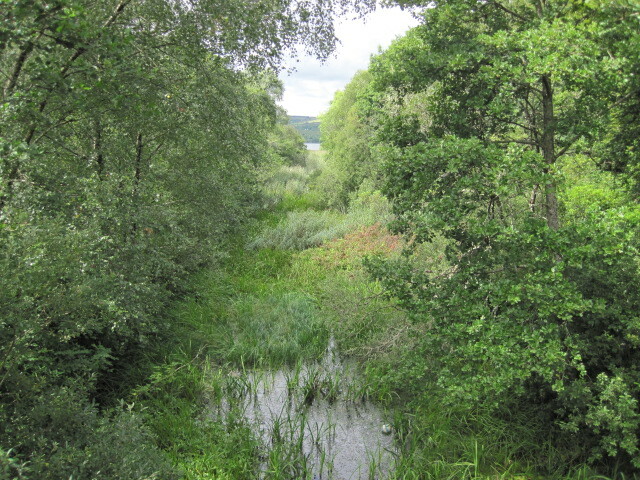 The park covers 800 acres (3.2 km²), and was formerly part of the Rockingham estate. 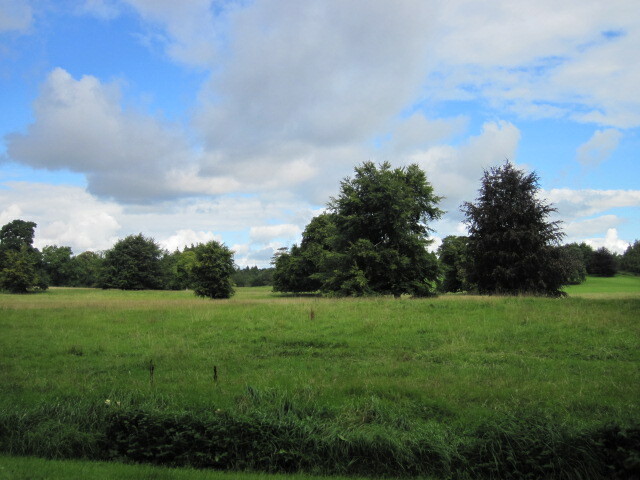 The Moylurg Tower, standing on the site of the old Rockingham house, now stands overlooking the wonderful lake to the north and impressive lawns to the south. 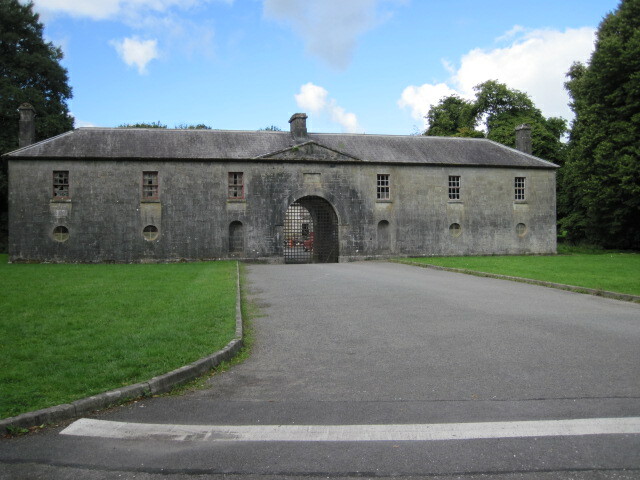 This was the seat of the Stafford-King-Harman family until 1957, who at the end of the nineteenth century owned over 30,000 acres (120 km²) in north County Roscommon and County Sligo. The impressive Rockingham House itself was badly damaged in a fire in 1957 and was demolished in 1970. 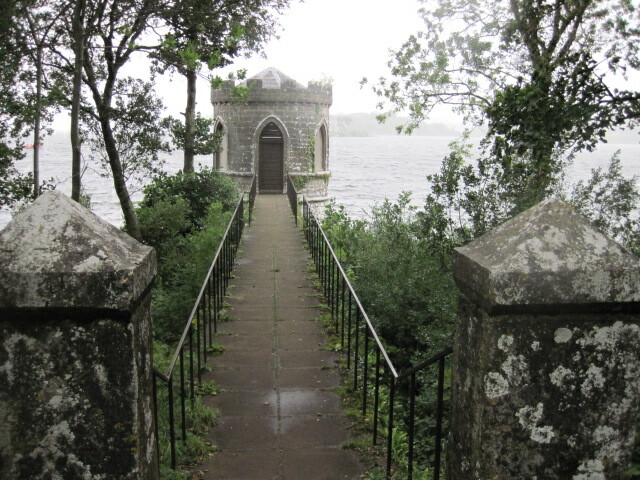 There are many interesting islands on Lough Key. 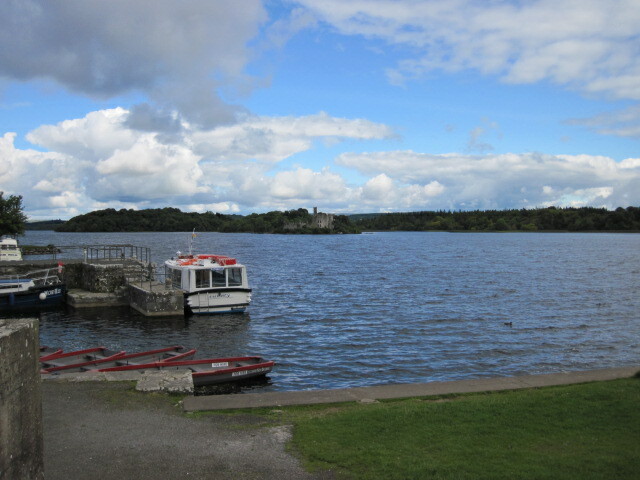 The impressive Castle Island is a well-known visual icon of this area. 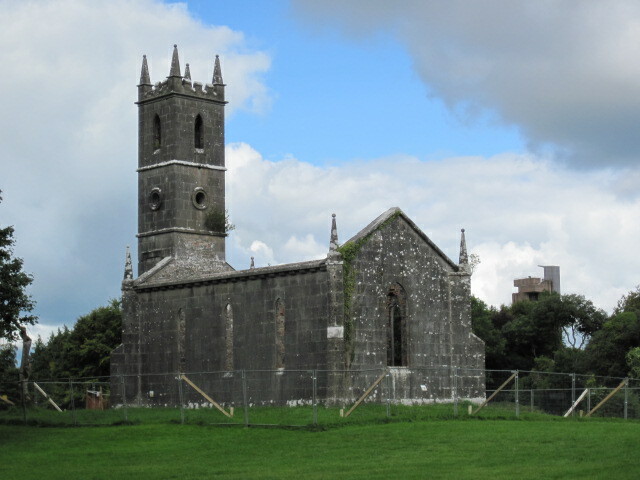 Trinity Island contains the ruins of a chapel, linked to the Cistercian monastery in the town. 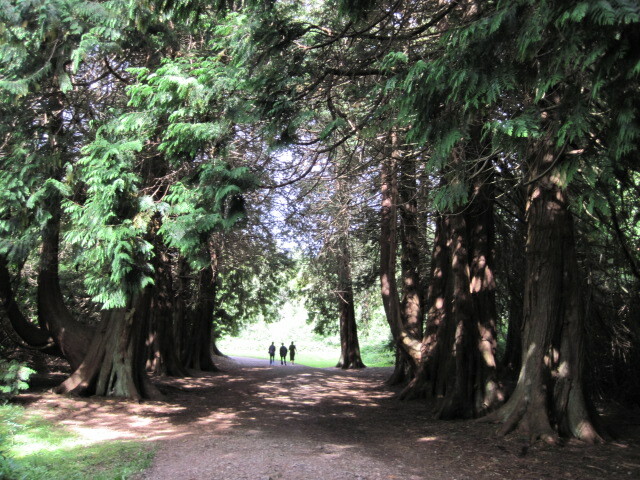 There are two trees growing on the island with interlinked branches, said to mark the graves of Una Bhan Mac Diarmid and Tomas Laidir Mac Coisdealbhaigh, two ill-fated lovers, celebrated in the poem Una Bhan. Una Bhan is a standard text on the Irish school curriculum. 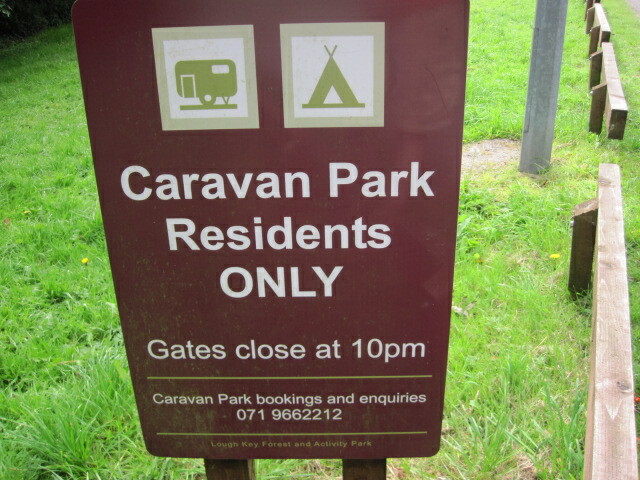 I was in Lough Key camping recently and although the scenery is fantastic and the staff friendly and helpful, the campsite looks like it’s been neglected for a while. The undergrowth needs to be cut back and re-opening the adjacent toilet block would make a big difference if you know what I mean, a few more bins would make the upkeep a lot easier too. Overall we had fun, the absence of a campfire was a bit of a bummer, no doubt an insurance requirement but a few half barrels on stands would reduce the risk and really enhance the camping experience. I can’t disagree George that there was some basic daily cleaning [litter picking in the woods of the camping in particular] and maintenance of the site required. In my opinion, if they took the money they used to advertise the entire back page of the sunday business post magazine and put it into the site upkeep – they’d never need to advertise again. It would sell itself. thanks for commenting. I will email this on to Lough key camping and see if we can get a response. I might point you within that to the comment made by George and hope that you might respond to it. 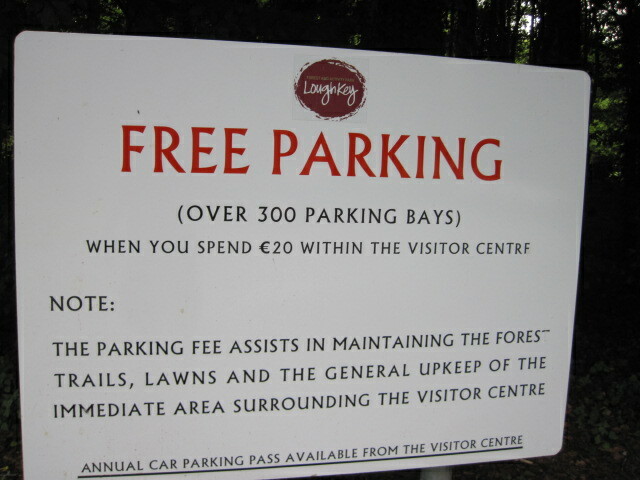 Also I mentioned the Lough Key forest ‘experience’ in my podcast – in particular the charge on the car park. I would hope you might respond to this too. I would hope that those noted would engage here on the weblog. If they chose to do so another route I will note it here. I appreciate that Peter, hopefully things will be different in the future, we’d love to go back to Lough Key but we have to be practical with the kids. I think it’s important, if you want campers to respect your campsite they need to see that you respect it too. 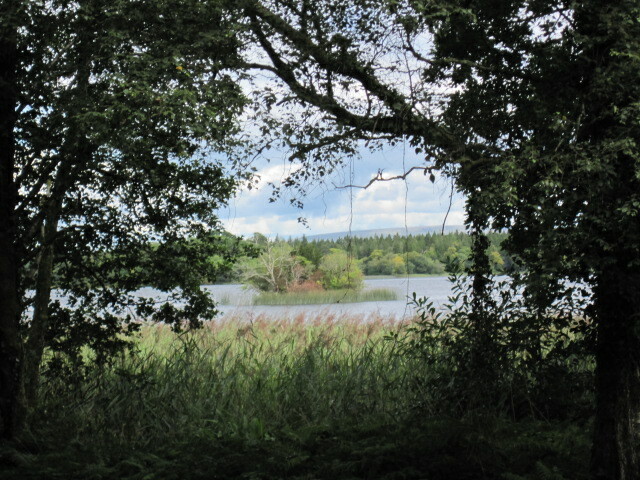 Peter – thank you for your feedback about Lough Key Forest Park and delighted to read that you had a good experience there. 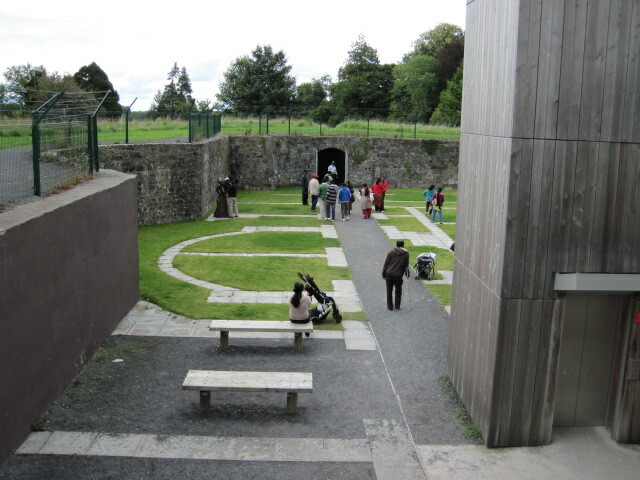 It is indeed a wonderful place for families and is widely promoted by Failte Ireland as an excellent venue for walking, cycling or just relaxing in the woodlands. This Halloween Bank Holiday Weekend there is a Lakelands Family Event at Lough Key which is now an annual event and is very well attended. 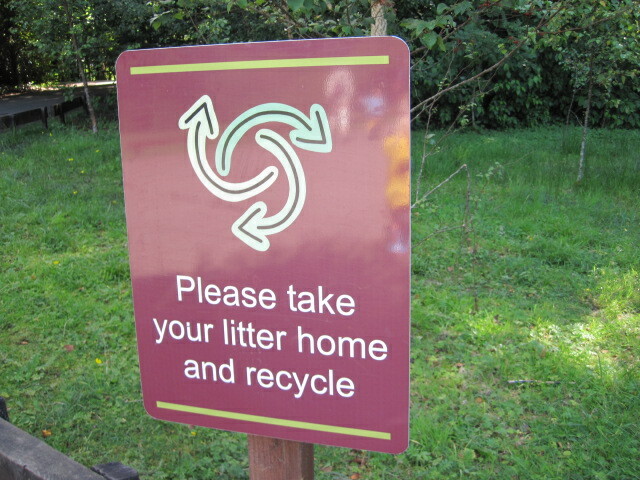 Your comments about the camp site, litter and car park charges have been passed onto the management of the site. Great photographs too. Eva Dearie, Client Services Manager, Failte Ireland. Thanks to Eva. Pity it took so long and she is the only one to reply. in answer to more than one emails….